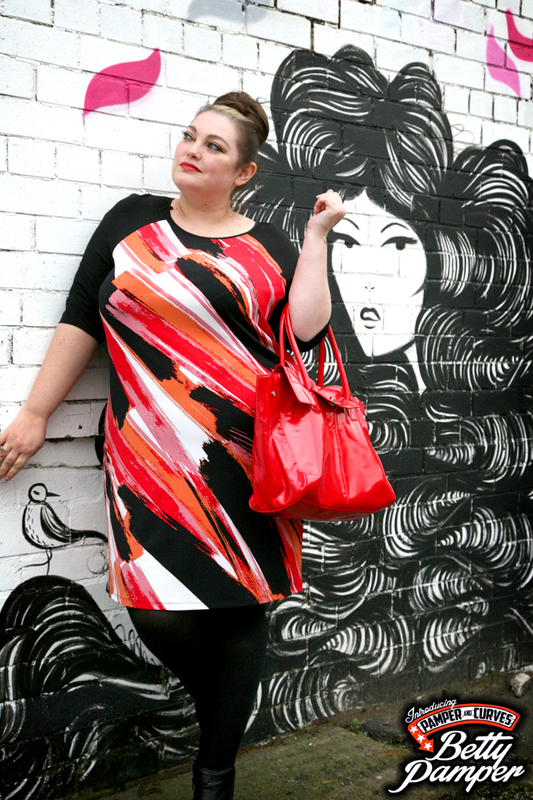 The joy of plus size fashion with Betty Pamper - Sugar, Darling? Even a few years ago plus size fashion was a narrow prescriptive place. The sheer lack of availability of clothes in sizes over a size 14 meant that for the average UK fatty channelling the latest fashions was just an unattainable goal. Online retail was in the infancy and the high street offered very slim pickings indeed (no pun intended) you could choose generic classic items from Evans (this was before they started to include collections like The Cut ) stretchy jeans from M and S and if you were really desperate the odd jumper from Ann Harvey. Trying to style that little lot out was often impossible. It’s wonderful to think how far plus size fashion has come and with it a limitless array of possibilities. Every morning I wake up and I still get a small surge of excitement. Rather than being faced with the same three or four Dawn French style tunics and boot cut trousers I can be whoever I want to be. Some days this is pretty, outfits so sweet it makes your teeth ache. Pastel coloured confections, swing dresses and floral circle skirts. Other days I can do pared back city chic androgyny, boyfriend jackets, cigarette pants and jersey tees in grey marl and taupe. Clothes are my story telling, they give the world all the information they need about how I am feeling on any given day and its great to be able to offer a blockbuster rather than a pamphlet. The freedom of expression this availability of clothes had offered not just me but a nation of plus size women is just phenomenal. Sure there is still some way to go, plus size ranges which finish at a size 26 are my pet hate and my big dream that one day Topshop will take their sizes up to plus may never be realised (why Philip Green why?) but overall the landscape for curvy girls is vibrant, eclectic, and this is encouraging a whole generation of plus size women to throw themselves headfirst into fashion like children at a ball pool. I’m holding my nose and diving in - come join me wheeeee!